The business concept section in your food truck business plan gives you the ability to provide a visual image of your concept in the mind of the reader. This is your chance to get others as excited about your concept as you are. Depending how you see this, it could be good or bad. Why? Because your concept will typically generate more questions. What is my return on investment (ROI)? What you need to understand is that investors want to be sold on your food truck business concept. You need to use the business concept section to convince them that the concept will succeed in appealing to consumers. Your food truck business concept section needs to focus on a detailed description of your concept. There are three components in your business concept section that are needed to provide your readers with a clear image. Writing a clear concept description in your business concept section involves story telling. You need to explain all of the great dishes the food truck will have to offer. You need to mention interesting design elements in the truck’s design. And don’t forget to explain the service you intend to provide. A good descriptive summary of the service style, as well as the promptness, are a necessity in order to properly communicate the conceptual image of the food truck. You need to provide descriptive statements about the overall atmosphere you want to project helps to solidify the conceptual picture you are trying to create. In addition to describing the food, design and service, your description in the business concept section should inform the reader of other key factors such as your price point, hours of operation and service style (street side, catering, and food truck events). Also make sure to express any unique selling points or points of differentiation the food truck will have. Typical distinctions are often made for signature dishes or ethnic cuisine new to the area. The concept statement should inform the reader about the size of the truck and it’s kitchen and the number of customers you will be able to serve in a given time (per hour, shift, day). A well written menu sample can definitely help sell your food truck concept. In this industry you will quickly learn that customer perception, of a food truck is largely formed based on the appeal of the menu or menu board. The sample menu does not have to include everything you plan to sell, only provide enough items to give the reader a sense of expectation. Floor plans, elevations, and a rendering of the food truck wrap will also help sell your concept to the readers of your food truck business plan. The purpose of your food truck business plan’s business concept section is to convey anything and everything that is part of your food truck concept and that can help create a visual image you want the reader to experience. 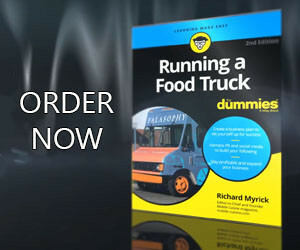 Did you add something different to your food truck’s business concept section? Did you get advice from readers that you were missing? We’d love to hear your thoughts. You can share them via Twitter or Facebook.